Lean Design is Patient Centric! In my role as the co-chair of the American Institute of Architects (AIA) Academy of Architecture for Health (AAH) of Georgia, I serve as one of the organizers of this group’s quarterly events. During the planning stages of the most recent event, we administered a survey to the AAH of GA mailing list of healthcare designers and allied professionals to allow them to select the topics that they consider important in the profession. I was not surprised to discover that the majority of our group’s participants were most interested in learning about lean healthcare. As an architect, I find that more and more designers are seeking information on this subject to respond to the needs of their clients and to become well versed on an emerging design consideration in healthcare projects. Last month, Herman Miller Healthcare presented an AIA registered Continuing Education lecture during AAH of Georgia’s quarterly meeting in Atlanta. The lecture was delivered by Roger Call, AIA, ACHA, LEED AP; Director of Healthcare Architecture and Design for Herman Miller Healthcare and presented by Herman Miller Healthcare in Atlanta. Call explained to the group that Herman Miller has entered into a mentorship relationship with Toyota in order to learn about its lean processes (although Toyota doesn’t call it lean) with the intent of implementing a similar system for its operations. He went on to explain the core concepts of lean, what lean is not, and how it relates to healthcare clients. According to Call, lean design is a system that focuses on understanding and meeting customers’ needs through engaging and investing in the development of employees. He explained that its goal is not to eliminate jobs, but rather to identify waste and inefficiencies in an assembly line process model and to empower every member of the team to contribute to successful outcomes, getting what they need, when they need it, in the correct amount, thereby eliminating waste. Roger Call highlighted seven forms of waste, giving healthcare examples for each. Many of his examples are summarized below. As I listened to these examples, there seemed to be an apparent relationship between the forms of waste and the common obstacles that lead to patient frustration and dissatisfaction. As an advocate for thoughtful patient-centric design, I found it quite refreshing that such a thoroughly tested, well-defined process is currently being implemented in health facilities. This not only positively transforms the operations of health systems, but it also supports improved patient outcomes and patient satisfaction. Herman Miller Healthcare identifies lean as “a system that focuses on understanding and meeting our customer’s needs exactly through the engagement and development of our employees” and a “system that seeks and enables higher and higher levels of performance through thinking and learning (Call, 2012).” This strategy can be embraced by healthcare designers, developing solutions that allow each member of the healthcare team to perform to the standards that today’s patients expect. 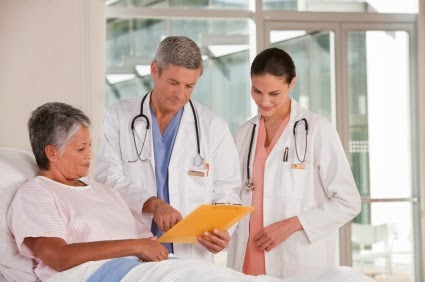 In essence, lean healthcare design is also patient-centric, offering a structured approach for positioning patients’ needs in a healthcare project and maintaining momentum with continuous evaluation of its success. This is a promising step forward that will surely benefit our patient-end users and the entire care team! Institute for Patient-Centered Design offers 10 Principles of Patient-Centered Design developed as guidelines for the design process. To view these principles, please visit www.patientcentereddesign.org/fordesignprofessionals. For more information on Herman Miller’s work in lean healthcare, please visit www.hermanmiller.com/research/solution-essays/lean-healthcare.html. Call, R. (2012) “Lean Design in Healthcare Facilities.” AIA AAH of GA Quarterly Networking, Continuing Education Event. Implementing a health care venture using lean design is completely more than just a different way of setting up a space; it is an unusual way of seeing the healthcare delivery. With the constant increasing of health care cost upshots, clinical spaces’ architects could play an important character in improving patient care if they will just keep up in the lean process right from the beginning.